IZACIC, Bosnia-Herzegovina (AP) — Bosnian police blocked hundreds of migrants from crossing into European Union member Croatia on Tuesday, reflecting tensions as the war-ravaged country struggles with the influx. Some 300 to 400 migrants, including woman children, lit fires and set up make-shift tents on Tuesday evening after police stopped them near the border crossing with Croatia. The migrants blocked the road and police reported minor squabbles when migrants tried to push through toward the border near the town of Velika Kladusa. Earlier on Tuesday, a separate group of several dozen migrants, including children, were bused away from another border crossing in the village of Izacic where they had camped overnight. The migrants want to enter Croatia and continue west on to other EU countries. Croatian police said in a statement they would not allow illegal entry to the country. They warned of false rumors being spread that Croatia’s borders would be opened to allow people to enter freely. “Our situation is very bad, so we came here because of our situation and maybe they have to understand what we are going through,” Ezent Laue, who said he was from Syria, said. The migrants walked some 15 kilometers (9 miles) Monday from the asylum center to draw attention to borders remaining closed to people fleeing war and poverty in the Middle East, Africa or Asia. They set up small tents, put out blankets and slept rough by the road as cars and trucks passed by. Parents wrapped children in warm clothes and blankets to protect them from the autumn chill. Sympathetic locals offered food, beverages and blankets. Several thousand migrants are staying in war-ravaged Bosnia, unable to continue their westward journey. Authorities have struggled to keep the situation under control amid protests by citizens in northwestern Bosnia where migrants are mostly located. 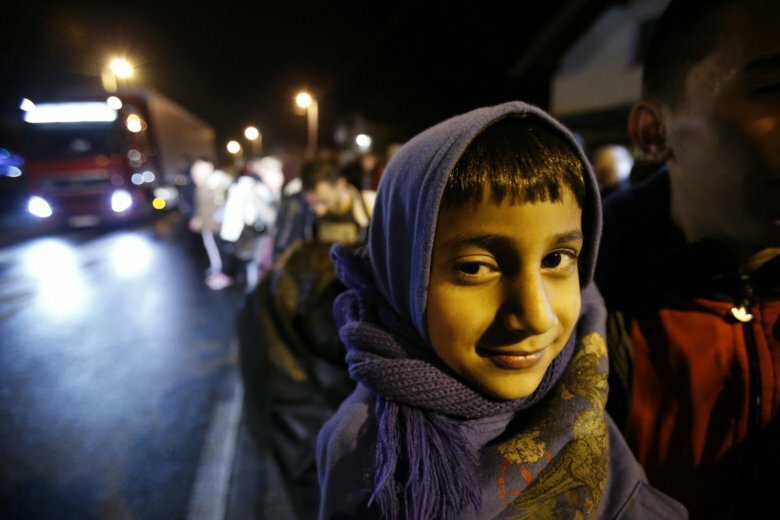 Migrants have turned to Bosnia to avoid more heavily guarded routes in the Balkans. Hundreds of thousands passed through the region before countries stepped up border controls in 2016.